In the previous articles we’ve examined how Applied Positive Intentions increase self-determination, develops trust, enhances meaning and purpose in our lives and builds positivity. In this article we explore how Applied Positive Intentions increases goal achievement. In the previous article in this series it was highlighted that positivity helps to broaden and build our capacity to live more meaningful, flourishing and prosperous professional and personal lives. By choosing to live our lives based on applied positive intentions for others, we are going beyond just positive thinking. While positive thinking is a good place to start, it is only that… a start. 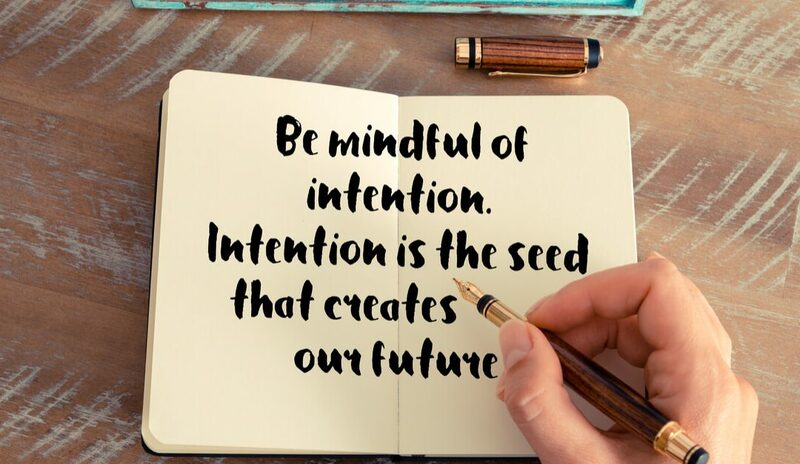 Applied positive intentions depend equally on WHY we choose to do what we do, as well as a clear and mindful understanding of the intentional positive impact our intentional actions will have on others. This positive approach to life broadens our minds and our hearts, which in turn builds our intrinsic motivation to discover and implement new skills, new relationships, new knowledge and new opportunities. This is the key to how applied positive intentions increases goal achievement. Applied Positive Intentions increase our capacity for goal achievement because we are more intrinsically motivated to pursue self-growth which will help us live up to our positive intentions to make life better for others. We’ve highlighted in this series of articles that applied positive intentions increases our sense of self-determination. This is our combined sense of autonomy, relatedness and competence. This increased sense of self determination is what releases our intrinsic motivation to get things done – to set and manage goal achievement. Helping us to achieve our goals, through applied positive intentions, we develop trust, are more positive about our potential for success and this helps us enhance our sense of meaning and purpose in our professional and personal lives. What I’m hoping you’re discovering through the seven articles in this series on how applied positive intentions increase your capacity to live an even more meaningful, flourishing and prosperous life, is the wide range of interconnected elements that are impacted by adopting more applied positive intentions in your professional and personal life. Coach and guide your employees to write out positive intention statements for their customers and regularly report back on how they are living up to their positive customer (and colleague) intentions and you will; boost the level of self-determination in your people, develop more inter and intra team trust, enhance your people’s sense of meaning and purpose, build their sense of positivity which increases their capacity for goal achievement. The sixth article in this series will cover how science validates Applied Positive Intentions encourage us to be more curious and adopt more learning and growth into our professional and personal lives.